Our workshops cover an overview of the work of nonviolent communication – how we can connect with empathy and communicate what is most important to us in a way that will be received! Learn skills that will help address conflict resolution, anxiety, depression and simply how to say what you mean and mean what you say – harmoniously! 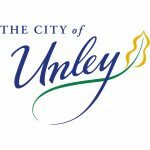 Positive Parenting courses and now Peace Making have been supported by the City of Unley for more than ten years. Costs vary with different events. Please see specific events for exact costs. • Online through Try Booking: click on an event in the upcoming events list below to be taken to the appropriate Try Booking webpage.